November 2014 - American Solar Tinting, Inc.
You’ve probably seen commercial window tinting on office buildings around town. But did you know you can experience the same great benefits at home? There is a fine line between privacy and natural light. Leave your window treatments open to let in the light and you sacrifice your privacy. Keep the window treatments closed to protect your privacy and say goodbye to natural light. The solution: residential window tinting. Click Here to learn more. 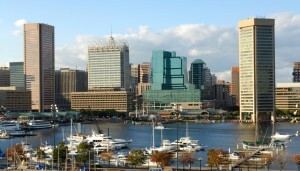 Baltimore experiences roughly 30,000 property crimes annually. And your windows are perhaps the most vulnerable part of your home. The solution: residential window tinting, which makes the window more resistant to breaking. Click Here to learn more. According to the U.S. Department of Energy (DOE), windows account for 25-40% of your annual heating and cooling costs. Yikes! 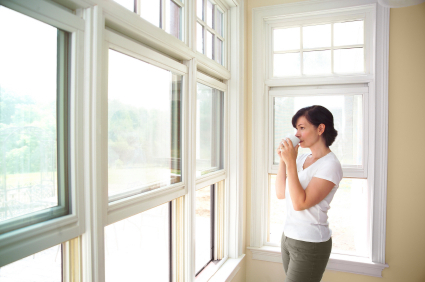 Residential window tinting, meanwhile, can help cut energy costs by as much as 15%. Click Here to learn more. Residential solar window tinting in your home can block up to 99% of harmful UV rays, keeping the interior of your home looking brand new by preventing the sun from contributing to the deterioration of your furniture. Click Here to learn more. Visual appeal matters when running a business. Period. Roughly 70% of all first-time sales at restaurants, retail shops, lodging facilities, and attractions are the result of curb appeal – visual appeal. People are attracted to what they find…well, attractive. Visual appeal also helps increase the likelihood of repeat customers. In fact, 52% of shoppers will not return to a store if they don’t like the aesthetics. And how important are repeat customers? Researchers at Harvard found that by increasing repeat visits by just 5%, profits can increase anywhere from 25 to 125%. Therefore, it probably isn’t too presumptuous to say that increasing the visual appeal of your building can help drive sales and ultimately increase profitability. But how? Investing in commercial window tinting is a cost effective way to improve the visual appeal of your commercial building. They help give your business a much more professional look. But that is just the tip of the iceberg. Window tinting can block up to 80% of the heat from the sun and help improve energy efficiency. Window tinting blocks 99% of ultraviolet light, keeping your office furniture safe from the fading effects of the sun. Window tinting can help block annoying glare, improving comfort, which can, in turn, help improve tenant happiness and employee productivity. Window film is designed to hold broken glass in place, even after repeated impacts, greatly improving the security of your commercial facility. Window tinting does all of this without blocking your view. American Solar Tinting can customize your tinting treatment to serve your business’s specific needs. We are licensed, bonded, and insured and have served over 46,000 satisfied customers throughout Maryland, Virginia, and Washington, DC since 1958. We specialize in custom window and glass tinting, logo graphics and decorative films, and safety and security films. Did you know that 70% of first-time sales at restaurants, retail shops, lodging facilities, and attractions in Annapolis, Maryland come from curb appeal? Turns out your mother was wrong. It’s not what’s on the inside that counts…it’s what’s on the outside. And while beauty may only be skin deep (or in this case brick deep), it is aesthetic appeal that draws potential customers in and aesthetic appeal that can help keep them coming back for more. In fact, 52% of shoppers will not return to a store if they don’t like the aesthetics. Is your business aesthetics getting the job done? American Solar Tinting, Inc. is licensed, bonded, and insured and has served over 46,000 satisfied customers throughout Maryland, Virginia, and Washington, DC since 1958. We specialize in custom window and glass tinting, logo graphics and decorative films, and safety and security films. We can help you transform an empty window or glass door into an eye-catching advertising space for your company logo, an informative sign with your hours of operation, or a beautiful work of art. At American Solar Tinting, we offer custom corporate logos and graphics for glass windows, walls and doors. We are an authorized dealer of SOLYX® films, the finest decorative films available. Click Here to request more information. “Store window displays play important roles in influencing shoppers’ store entry decisions and their perceptions of brand/store image,” explain researchers Hyunjoo Oh and Jenny Petrie. Right now, what kind of message is your storefront sending potential customers? Do your store name, signage and displays clearly indicate what you sell? “If the distance between the pedestrian and the business is far the message has to be bold, large and concise. If the pedestrian traffic is closer the message can be more involved and compelling,” explains Jim Lowenstein, owner of Castle Real Estate in Newton, Massachusetts. Let American Solar Tinting help you craft the perfect message to attract potential customers wandering the streets of Annapolis. One of your favorite things about your home is your view. You love to just stand there staring out your window, taking in the sights and sounds of Maryland. But who is staring back at you? Everyone loves the view, but most people only want the view to look one way – out. What it all boils down to is privacy. You want a way to protect your privacy without sacrificing your view. So window treatments are out. Bulky blinds and shades are great for protecting your privacy…at the cost of your beautiful view. Fortunately, there is a solution: Residential Window Tinting. Tinting blocks up to 99% of harmful UV rays to reduce furniture fading. Tinting helps reduce glare, which is especially nice in media rooms and home theaters. Tinting can help reduce cooling costs by up to 30%. Specializing in commercial and residential window tinting, American Solar Tinting has served over 46,000 satisfied customers throughout Maryland, Virginia, and Washington, DC since 1958. As a factory authorized dealer of Vista® and LLumar® window films, we provide our customers with not only the highest quality installations, but the highest quality products. Our solar tinting is professionally installed with no mess, no hassle and minimal disruption.